Did you know Patchouli is the oil of physicality? It supports people in becoming fully present in their physical body. Patchouli gives praise to Yoga, Tai Chi, Reiki, or other exercises that direct the connection of spirit with the body. Patchouli helps us appreciate the greatness of the physical body, and all of its natural designs, and functions. Patchouli is a member of the mint family. Patchouli is a fragrant plant from South Asia that has a very pleasant and memorable scent. Tradesmen and merchants would often take long trips between India and England by coach in the 1800s. Leaves from the patchouli plant were always included to protect merchandise from moth damage and leaving clothing with the familiar scent letting the buyer know the items being purchased were of the highest quality from Asia. The Indians that lived centuries ago said the oil improved their mental sharpness and removed that sluggish feeling that can slow the body down later in the day before dinner. 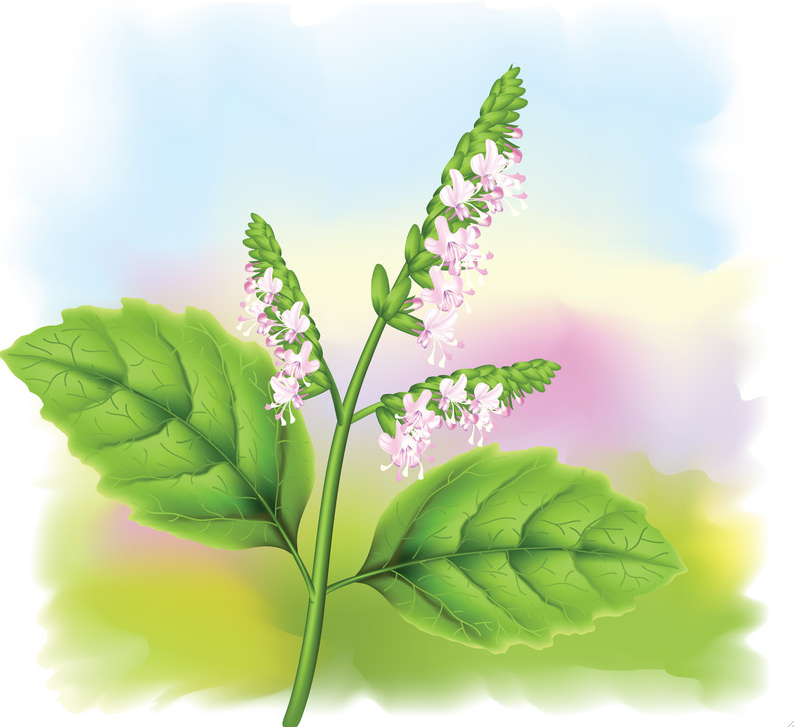 Researchers now know the unusual and strong fragrance of the oil helps patchouli produce a balancing effect on the emotions. Combine patchouli with peppermint and apply to the forehead, temples, or back of the neck to help with headache symptoms. Apply one to two drops to help reduce the appearance of wrinkles, scars, or problem skin areas, or add to your favorite moisturizer. 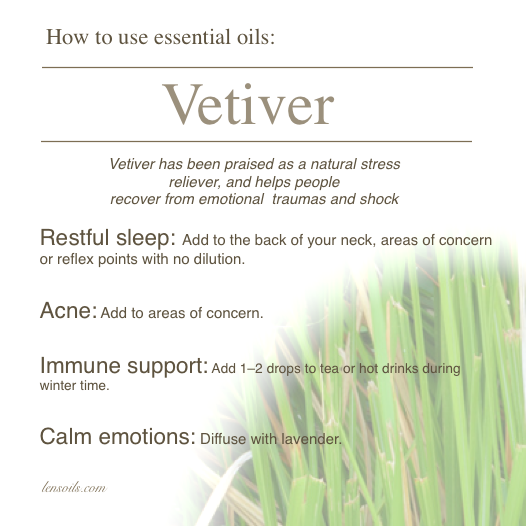 Combine with vetiver, and apply to the bottoms of feet to help calm emotions.